A former drug addict turned rehabilitation success story, Shalom House‘s Peter Lydon-James has a blunt message for drug offenders — “addiction is a choice, not an illness”. 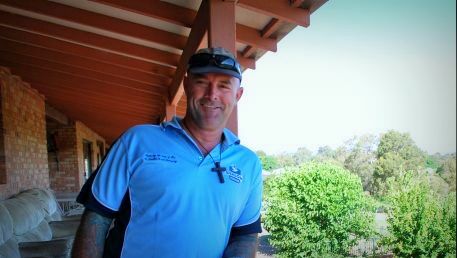 He describes Shalom House, a self-funded, 70+ resident live-in facility located in WA’s Swan valley, as “a men’s rehabilitation centre for men with life-controlling issues — anything that stops a person from living a normal life”. Each week, Peter joins 98five’s Morning show to answer concerned listener questions, and has publicly shared the struggles of Shalom House in regards to its ongoing zoning battle with the Swan Shire. Shalom started by accident in July 2012, when I first started Shalom House I had no intention of starting a rehabilitation centre but rather a discipleship house where I could help men change their life. I purchased a house next to the Bandyup women’s prison and had four fellas who moved in and within 12 months it went to 12. I put an application in to the Swan Shire to change that zoning from Special Rural to Community Purpose. Peter doesn’t believe the WA public should foot the bill to rehabilitate those who have made the choice to use drugs but he also ensures the men who voluntarily enter the program that no profit from their weekly $300 fee goes into the pockets of the staff. “(We tell them) we don’t make money out of you,” Peter said. And it’s quite a tightly-run “oily rag”. “The men are not allowed more than a days worth of facial hair — as for the hairdo, it’s ‘two on top, one on the sides’,” he said. Peter is often asked why someone would choose to take drugs? When referring to a lady protecting her son from going to jail, Peter said: “If she’s trying to stop him from getting arrested well then, gee, if I were a cop I’d arrest her. She needs to be thrown into rehab. She’s stopping him from getting help”. “If you touch the hotplate, you get burnt,” he said. While Peter’s no-holds-barred approach may come across as harsh to some, he said he’s in his line of business because he cares for people. Shalom House also run Shalom Works — a maintenance business based in West Swan that seeks to give the best quality work while giving men a second chance at life. Read more about Shalom House employees here. Why would you take drugs? Why would you inject acid in your veins? Why would you do it when we all know the side effects? Follow Shalom House on Facebook to stay updated on their progress and latest news.